Overwatch is known for many things, among them the iconic and visually distinct designs that immediately convey a character's abilities and personality. 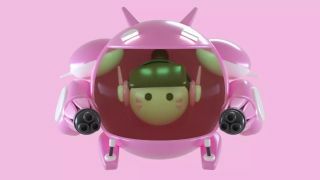 Freelance animator Chris Guyot, who has contributed to ad campaigns like Nick at Nite, challenged himself to likewise distill the Overwatch cast's essence into short, 2 to 4-second portrait clips, and the results are too cute to handle. I wonder if Guyot will add Doomfist? Speaking of, did you see our ranking of all Doomfist skins?